It is so easy to let your images live on the internet or a flash drive; I'm just as guilty with my own personal photographs. Your wedding day is over, life is happening, and those files are relegated to popping up in your Facebook memories. Instead of seeing them once a year when they pop up, let's get them off of those screens and into your daily lives. 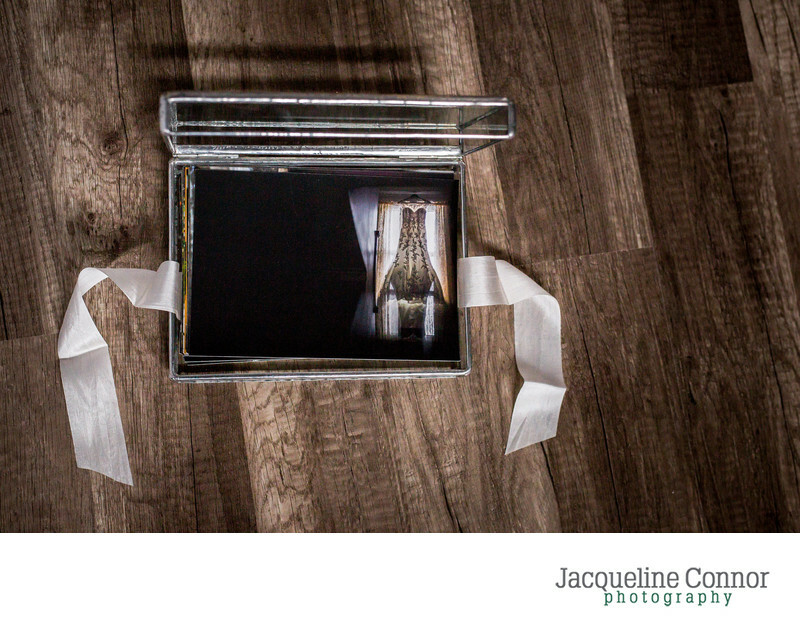 There is a feeling that you get when you are looking through your wedding photographs. Those images tell a story of one of the most momentous days in your lives together thus far. As the day-to-day life starts to trickle in, it's easy to lose sight of how thrilling it was to see your partner for the first time, or that "oh my god we are actually married" moment. You can pull out your wedding album and look through images, or listen to a song that brings you back to that day, but those all take going out of your way to transport you back to those emotions. Why not let those moments always exist within your home? Wall art allows you to glance up and see your partners face as you exchange your vows, and to see how excited your best friend was to belt it out to the song you closed bars with in college. When you come home after a particularly exhausting day at work, you can open the door to your partner's dance move that is reserved for when they might have had a drink too many. Wall art enables you to be transported back to your wedding day on a regular basis. Those instances will always live around you without you searching through files to look for it. 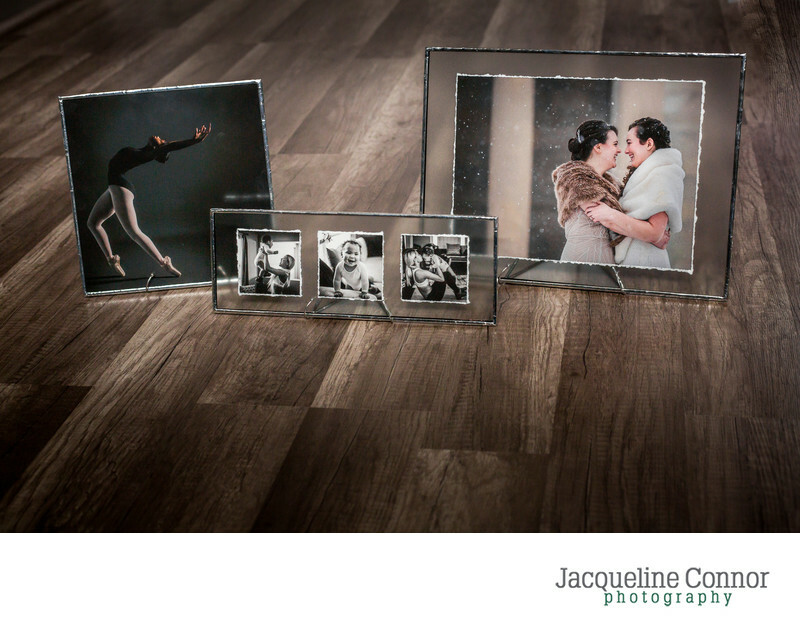 The experience at Jacqueline Connor Photography is unique, so I sought out finding an extraordinary line of products that are as exceptional quality as your images are. All soldered art is hand-created in an artisanal studio in Chicago and features the highest quality materials available. Each piece is permanently sealed and soldered by hand with UV protectant glass meant to last for generations. Isn't an 8x10 big enough? A 11x14" canvas is enormous! Compared to a 4x6, yes it is large but once you get it onto your actual wall a 11x14" print looks quite small. The image above features a 60x40" print to make a dramatic statement and fill the room with a tangible impression of Sam and Korey's laughter. Do I have to order products right away? I saw an awesome deal on Shutterfly/Groupon/the internet. What is the difference between that and what you offer? There is a vast variety of products available to the average consumer online, so I can totally understand the idea. The labs and companies I use, offer a quality only available to professional photographers. The prints are true-to-life colors and archival so that they will look just as beautiful 50 years from now. All albums are hand-made of the finest quality materials available, so they stand up to decades of being loved. Is there an option for payment plans? Of course! We want to make it as easy as possible to get their future heirlooms into your lives. Payments can be spread out in even increments for up to a year. This is available for artwork only, not for wedding photography coverage. Can guests buy us our wedding art as gifts? Absolutely! Have you lived together for awhile and have most of your household things? Are you looking to give your guests another option for gifts? We can set up a custom artwork registry for you. You will recieve a custom link for your guests that allows them to contribute to some of your first heirlooms as a couple. At your gallery deliver, it will be available as a print credit to use on whatever artwork you like. All of this is super overwhelming; I have no idea where to start. That is exactly what I am here for, never hesitate to use me as a resource. 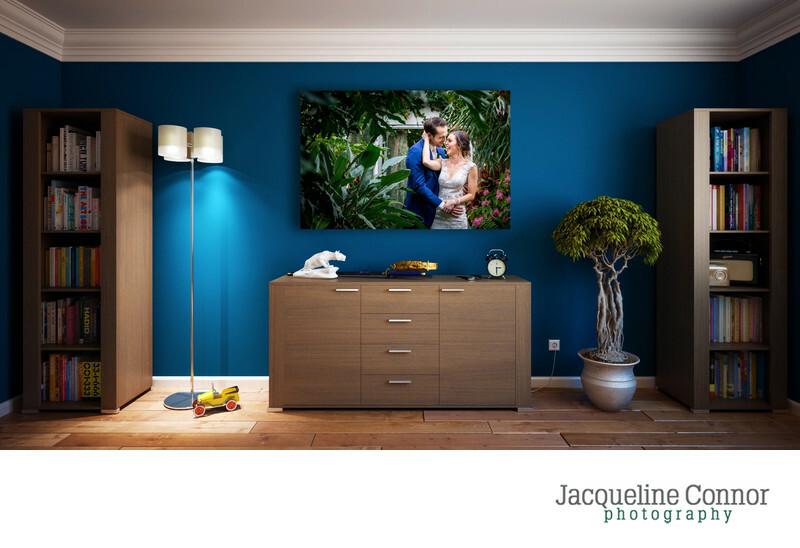 Come on into the studio, and we can select the images that best showcase how you want to feel when you enter your home. Bring in images of your blank walls, and we can pick the perfect sizes, groupings, and types of wall art for your space.